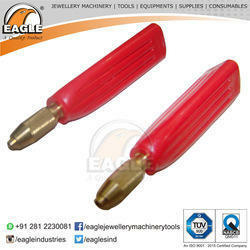 Our range of products include jewellery equipment indian type double ended pin vise, jewelry making tools usa type double ended pin vise 4 inch, jewels tools usa type double ended pin vise, jewelry tools plastic handle pin vise, jewellery tool bench pin for ring and jewelry tool swivel head pin vise. To cater to the demands of our customers requirements, we are highly engrossed in providing a wide range of Indian Type Double Ended Pin Vise. 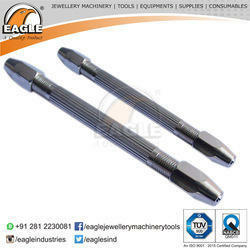 Precise in design, this pin vise is generally used in jewelery industry. 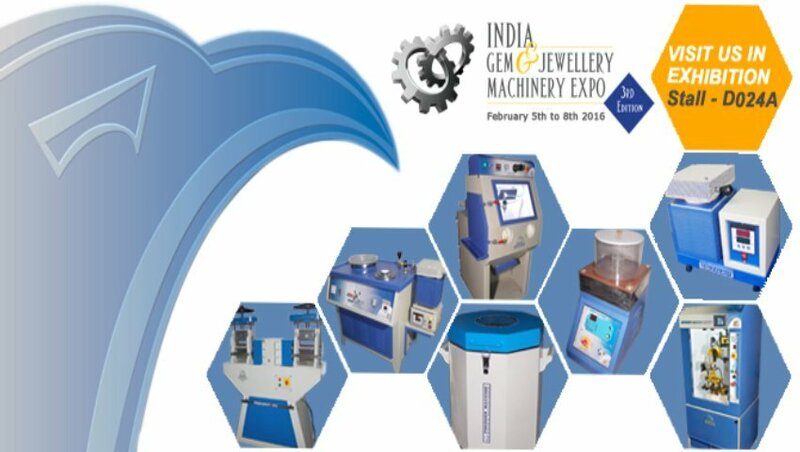 At our premises, this pin vise is precisely manufactured with the use of superior quality raw material and contemporary technology by our experts. Provided pin vise has gained exceptional value amongst our clients for its defined features. 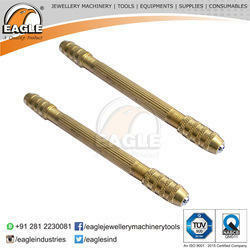 Indian Type Double Ended Pin Vise Chromed 3"
Indian Type Double Ended Pin Vise Brass 3"
Indian Type Double Ended Pin Vise Chromed 4"
Indian Type Double Ended Pin Vise Brass 4"
Owing of our extremely talented team of professionals, we are engaged in offering an excellent quality USA Type Double Ended Pin Vise 4 Inch. 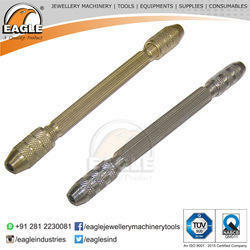 Find extensive usage in jewelery industry, this pin vise is well known among our clients due to its remarkable features. Manufactured from the premium quality raw material, this pin vise is also properly tested against numerous parameters by our experts. 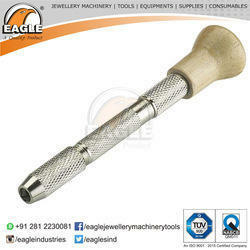 Our valued clients can avail this pin vise from us at nominal prices. Double Ended jewels tools are manufactured with the use of optimum quality raw materials and highly advanced techniques. Size size 3" and 4". Pin vise is perfect for precision drilling and tapping. plastic handle pin vise brass chuck 4"
plastic handle pin vise chromed chuck 4"
We are manufacturer of Jewellery Tool Bench Pin For Ring. Bestowed with our tremendous domain expertise, our firm has gained specialization in providing Jewelry Tool Swivel Head Pin Vise to our precious patrons. 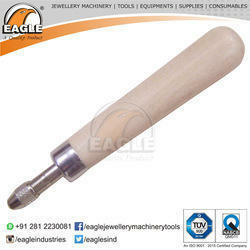 As a designing tool, the offered vise is extensively used to make jewels with ease and accurate manner. This vise is manufactured at our ultra modern production unit using optimal quality raw materials with the aid of innovative techniques. Further, the provided vise can be easily availed from us in different specifications at cost-effective prices. Swivel Head Pin Vise Chromed 2¾"
Swivel Head Pin Vise Chromed 3¾"